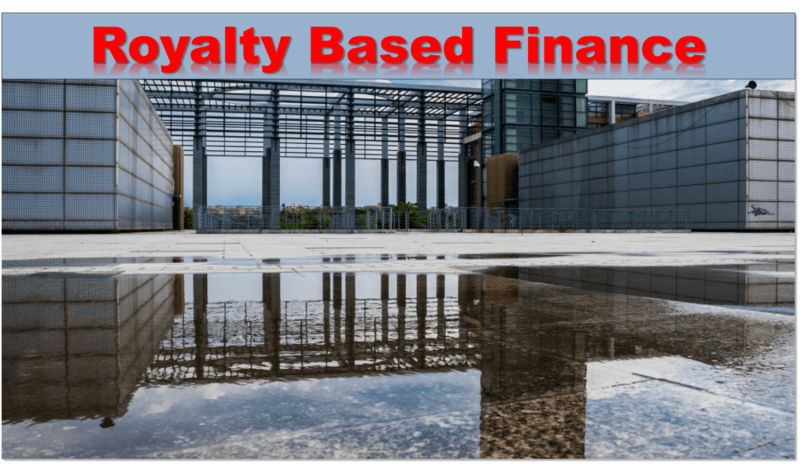 What is royalty based financing? How Does it Work? What is Royalty Based Financing? Home / What is Royalty Based Financing? Royalty Based Finance eliminates the need for venture capital or bank debt. Growth capital is provided in exchange for a fixed percentage (1% to 5%) of your monthly top line revenue. Unlike private equity, the business owners retain ownership and control of their company. Growth capital is provided up-front in exchange for a percentage of a company’s monthly top-line revenue. 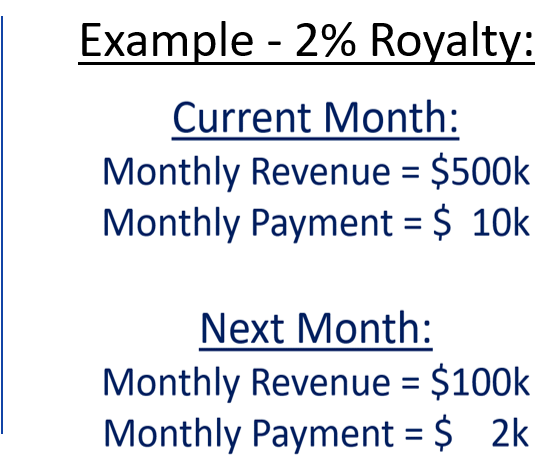 Royalty payments are structured to last for about 4 to 6 years and range from $1M to $3.5M per company. The payments continue until the capital plus a predetermined amount is repaid. What is the Qualifying Criteria for RBF? Substantial growth opportunities, i.e. expand sales/marketing, acquisition, geographic expansion, new product launch, etc.